Postage Free Of Charge UK Mainland Only. 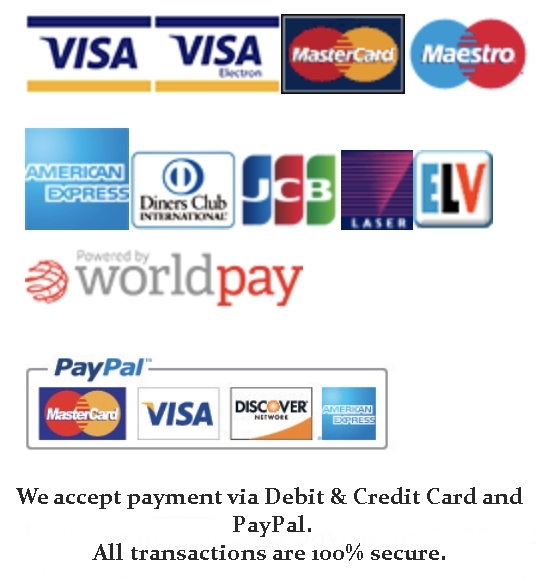 Open Account with Us or You place order as Guest without Registration. If you Open account with Us you will be able to track your order yourself ,see previously placed orders and add new products to integrated basket. You can track your order by logging into your account (you can log in by clicking on the store page link at the top of the page). Then on ‘My account ‘ page you will see a link called ‘orders’ – click on this to see all of your current and previous orders. Next to each order you will see a View link. If the status is ‘dispatched’ or ‘complete’, you will be able to see order update and tracking number. Under tracking number, on the left hand side, you will then see a link which will allow you to track your order on our courier’s website. Under normal circumstances, most orders ship out within 24 hours. Do not count the day the order was placed. On some occasion we will use courier directly from Manufacturer – to reduce waiting time – mainly on special orders.